Cynopsis Talks with Mucha about his plans for the European squad. 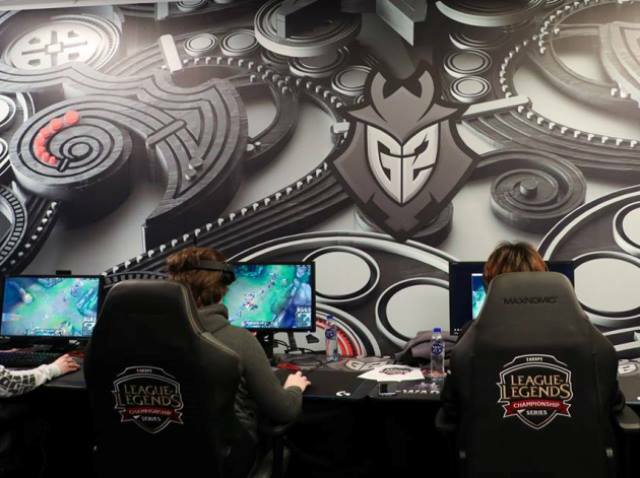 G2 Esports recently named Peter Mucha to the company’s senior executive team as the Chief Operating Officer and tasked him with managing and strategically growing G2 Esports operations worldwide, including leading the integration of a successful operational structure, defining and implementing business growth strategies, and leading the global operational teams that are crucial to the all-around success of G2. Mucha joined from the Symanto Group and previously held senior positions with Adidas, Microsoft, Universal Music and Activision. He now takes the helm of a team with deep ties in League of Legends as well as CS:GO, Hearthstone, Rocket League, Paladins, and more. Cynopsis asked Mucha about taking on the role and his plans for the European squad. Mucha on the G2 Esports opportunity: It was a perfect fit for a few reasons: esports is currently the fastest growing market out there, and it provided me with an opportunity to bring my background in sports, data and entertainment into one position at an organization with a lot of potential. Carlos and I immediately clicked – the cultural fit was just right from the start, and Carlos’s vision for G2 Esports and the industry was very inspirational. He’s also leading an incredibly ambitious and hungry-to-succeed team of people, who are holding themselves to very high standards. I wanted to be a part of that. On immediate goals: G2 is already on a very fruitful road to competitive and business success, so my immediate goals are centered around supporting them on this path. First and foremost, I want to provide Carlos with a partner he can trust and rely on long-term, so he can focus on the brand, our competitive success, and the strategic direction of the company. That’s a challenge that comes with structuring a lot of operations and setting the organization up for success, building best-in-class structures across the board – from marketing to support for our teams and partners. Additionally, I want to capitalize on the incredibly impressive 3.5 years of unprecedented growth in branding, competitive success and vertical expansion – including increasing merchandising capabilities, expanding distribution channels and building long term, strategic partnerships with endemic and non-endemic stakeholders. On challenges to teams today: That’s an interesting question because a lot of things that many – myself included – would consider challenges also present a lot of opportunities for growth. Take, for instance, the talent pool: before esports reached “mainstream” status, the talent pool was low. Today, the talent influx coming from other industries forces old-school organizations to adapt or make way. We are an industry with an outstanding growth rate, so we have the challenge of salaries (for players but also other stakeholders) growing unreasonably higher and faster than revenues. The capital influx coming from other industries is the main cause of that, and the stakeholders focused on increasing their market share know that every dollar today is worth 10x as much tomorrow. I also think that outside of the heavily endemic and passionate-about-esports group of people, newcomers will have a hard time finding partners who will educate them – who have the right pedigree, experience and skills. As a result of these likely underwhelming partnerships, some investors and partners alike grow hesitant on the esports opportunity. On franchising: Long-term partnerships of this type change a lot of things in esports, most notably our quest to find the ideal competitive structure, which simultaneously could be different for each type of game out there. I think the biggest change deriving from that will come from esports’ ability to forge new types of partnerships: the serious, longer-term deals that will make it possible for everyone to make more accurate forecasts and predictions. Those types of partnerships are relatively new in esports, as there’s never been a point in time where teams and players have been able to make more elaborate plans with regards to their contracts and revenue coming in. I think this will be one of the most effective ways to create an ecosystem that allows fans to passionately follow their favorite teams, players and brands for decades to come – just like they do in other entertainment industries.